Is Google Search going on auto-pilot with machine learning? As Senior VP of Search, Amit Singhal leaves, the man who oversees Artificial Intelligence is replacing him. Everyone’s beloved (and sometimes feared) Google Search is going on auto-pilot mode soon. With senior VP of Search, Amit Singhal, announcing his retirement, John Giannandrea, who oversees the company’s AI research is going to take over, marking what may be the biggest change in Google’s Search algorithms yet. What you need to understand is that while Google’s Search currently does employ machine learning algorithms, it constitutes a small part. Giannandrea’s entry suggests that things are going to turn the other way now. Machine Learning in short is how computers can process data on their own, learning as new data is discovered or entered. It’s similar to traditional algorithms, in the sense that they’re still algorithms, but the human’s control over what the code learns and does is reduced. For example, in Neural Networks are basically mathematics and humans can trace that math, but it’s still really difficult to understand why a neural network is reacting to data a certain way. This means that if you are to tweak the neural network, you will have to go by a trial and error method. You may have heard of an algorithm by Google, called RankBrain, reported by Bloomberg in October, 2015. This is an AI, which, among other things, performs the task of dealing with new search queries. So, while Google’s Search algorithms are adept at handling common search queries by users, something new that pops up, will require RankBrain’s help. Considering the fact that the Search engine deals with millions of queries, the room for a query that it has never encountered before is really high. RankBrain will understand these new queries and learn and more of them keep coming in, reacting intelligently and hence, making Google’s Search engine better. According to Bloomberg’s report, it took Google about half a decade to incorporate RankBrain into its Search algorithms and it is one of the many signals that determine the final search results that you see after inputting a query into the engine. 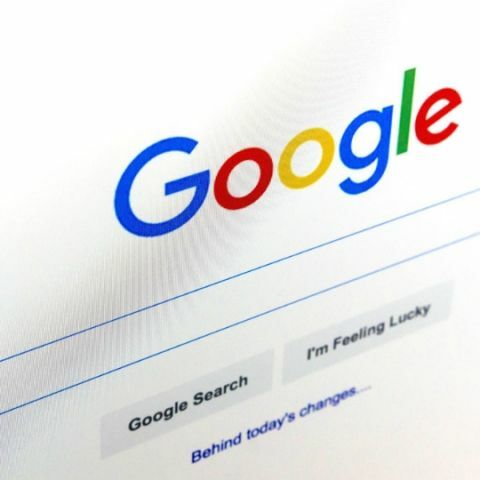 Furthermore, while under Singhal, Google’s Search algorithms were primarily based on rules determined by humans, under Giannandrea, it may be driven by decisions made by machine learning algorithms, an Artificial Intelligence. RankBrain accounts for about the 15 percent of Google’s search queries, and while that may not seem like a big percentage, the actual number would be really huge. The problem with neural networks though is that while there is no question that they work and are useful, even experts, like Giannandrea, aren’t absolutely certain as to why some of the decisions that the machines make, are made. So, while Google’s Search algorithms may very well be more AI driven from now, one can be reasonably certain that the human-driven algorithms that Singhal built in his tenure, aren’t going to lose their importance either. For now, imagine an aircraft on auto-pilot. The pilots are right there and can make the tweaks when and where necessary.